Free to play. Each day you log-in, you get 500 free bankroll (max 3500 free/week). Place sports wagers and build your bankroll. At the end of each week, the top of the leaderboard gets REAL CASH!! Also free to play. Private leagues are just like your current fantasy leagues…just way better. Simply define your start and end date, select your sports, and invite your buddies. 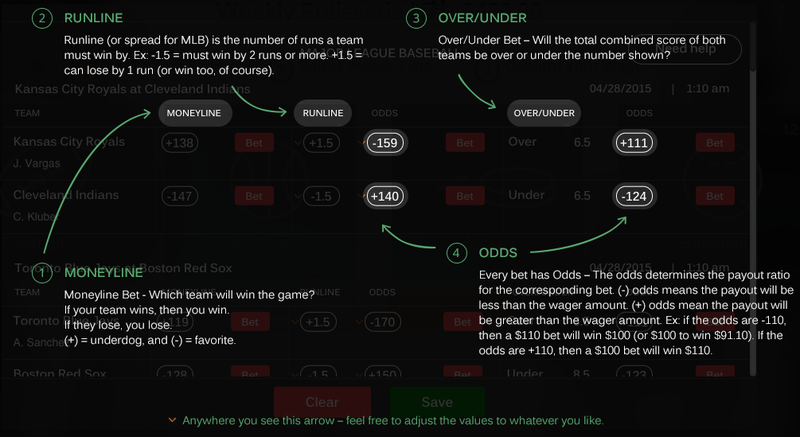 Objective is the same – build your bankroll by placing wagers. Set your own prizes, and may the best man win. This is what we used to measure your skills. The proprietary Handicapping Efficiency Analysis Tracker is independent of your ability to build your bankroll. The formula is based solely on how well you pick winning selections…and how difficult those selections are of course. HEAT is your personally identifiable Index, and will be used for cash payouts, promotional event qualification, and invitation to the World Series of Sports Betting. World Series of Sports Betting (WSOSB) - That’s right, it’s finally here!! Top handicappers from around the world will compete in a one-month sports betting competition to formally crown the world’s first Champion of Sports Betting. The event will run from Oct 16 to Nov 12, 2017, and will feature betting lines from ALL sports. Free to play - registration details found within WSOSB “League Detail” page. That's easy...we're legal because we do not accept any money from any of our users. All of our games are completely free to play! !